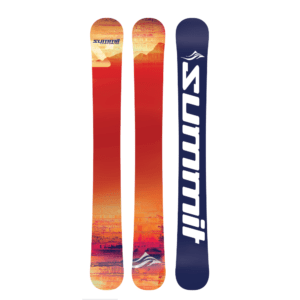 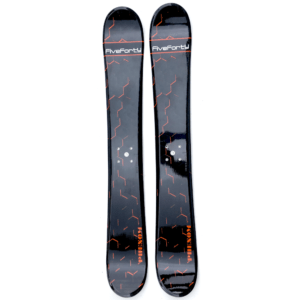 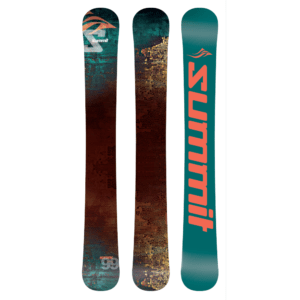 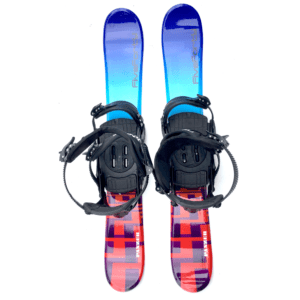 The following skiboards can be mounted with snowboard bindings. 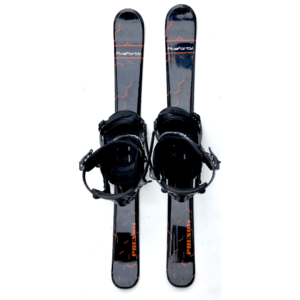 For skiboards w. snowboard bindings we offer the Technine Custom Pro Snowboard Bindings which have 3 buckle straps including one at the top for maximum stability and direct power transfer to the edges, and yes they do perform! 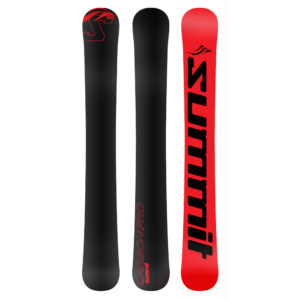 These also include the Summit Riser Kit. 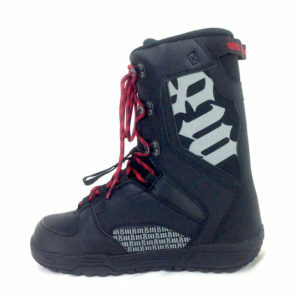 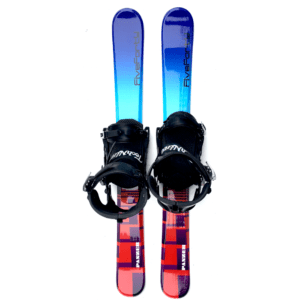 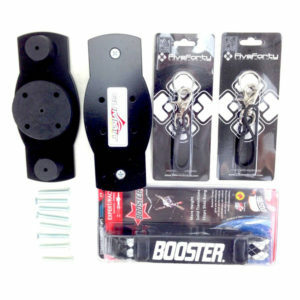 If you use your own snowboard bindings you will need the Snowboard Bindings Adaptor Kit. 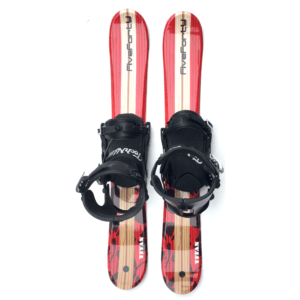 Snowboard bindings screw right into the inserts on these skiboards.